Throughout time, fragrance has played a subtle yet significant role in the art of romance. In Indonesia sweetly scented ylang ylang flowers are scattered on the bed of a newly married couple. Cleopatra, one of the most renowned lovers of all time, was reputed to have scented the sallies of her barge with rose water to seduce Mark Antony as she sailed to meet him. Studies have shown that the majority of people consider smell to be the lease valuable of the five sense, yet it is the most highly developed at birth, and we choose our mates in part because of their unique scent. Today, the perfume industry is a multi-billion dollar business based on the notion that fragrance makes people more attractive to one another. It’s more than marketing and fancy packaging- there’s a logical explanation for why scent has such a powerful effect on romantic feelings. The olfactory lobe of the brain is part of the limbic system, the same area associated with memory, emotion, learning and sexual desire. When scents are inhaled, they have an immediate, powerful effect on the emotions, Scents perceived as pleasant and stimulate the production of neurotransmitter, the body’s “feel good” hormones. There was a study conducted to see which scents naturally aroused men and women and the results were quite interesting. The scents that naturally aroused men sensually the most were lavender, and pumpkin pie, which produced a 40% increase. Other high ranking scents included orange and the combination of black licorice and doughnuts. The women’s result of the study proved to be even more interesting. The scent of baby powder, a mixture of Good and Plenty licorice candy and cucumber were the top sensuality arousing scents. The scents of lavender and pumpkin pie also ranked high with women. Now there is some food for thought however most people aren’t going to have Good and Plenty candy around… hopefully but lavender, pumpkin pie and cucumber are much easier scents to incorporate into our lives. Sensuality and Romance blossoms in a relaxing and beautiful environment. You can easily create this type of environment to fit your taste, desires and needs, naturally by using aromatherapy like Cleopatra did. 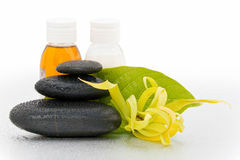 Here are some tips and suggestions on how you can use fragrance play a role in the art of your Sensuality and Romance. 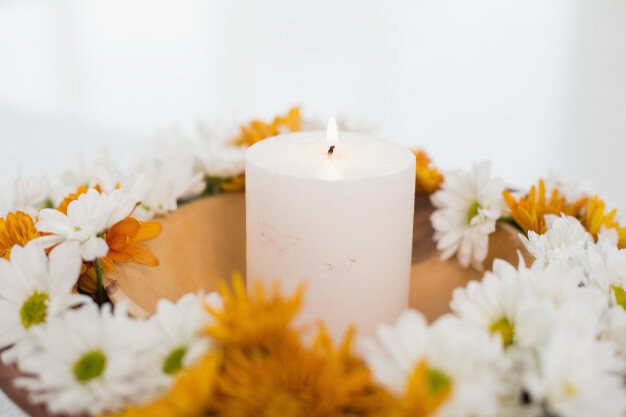 Lighting candles is a sensual and romance environment enhancer, the preference is to use aromatherapy candles or scented candles. Aphrodisiac scents you can use are: Vanilla, Sandalwood, Rose, Clary sage, Jasmine, Neroli, Pathouli, Vetiver and Ylang Ylang. These scents can be used in a diffuser or topically on pulse points such as the wrist, heart center, abdomen, behind the ear and throat area. 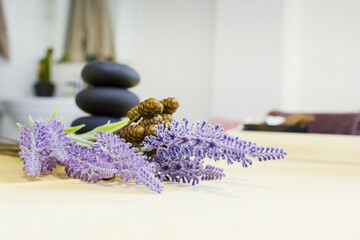 Adding fresh flowers to the environment can add to the feeling of freshness, aliveness and comfort. Misting comfy pillows for lounging, with a mist of a mixture of distilled water and Rose, lavender or one of those other essential oils suggested is a seductive way to further enhance the romantic environment. Start with a Seductive Blissful Beginning– This includes taking a warm bath where the water is just warm enough to be relaxing and not make you sleepy. Add 3 to 10 drops of the essential oil of your choice along with ½ cup of Epsom sale to relax tense muscles and 1 cup of baking soda to soften the skin. Float a few Rose petals in the water, light a few candles and bathe by candle light. May your Sensuality and Romance be naturally taken to another level!